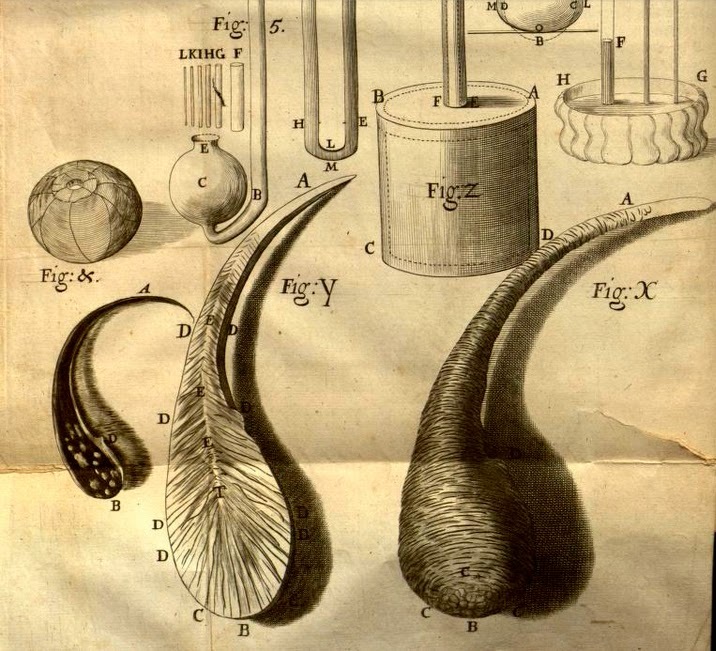 Micrographia 1664, between p. 10, 11. These glass drops became a novelty at royal courts throughout Europe, given a glass furnace they were easy to make, easy to demonstrate, and never failed to amaze observers who had not seen them before. They sparked animated discussion in the many scientific societies that had sprung up; what forces of nature were involved that a piece of glass could resist a hammer yet explode into dust at the loss of its slender tail? At a time when the concepts of atoms and molecules were still being debated, the glass drops became a nucleus around which a new science developed of mechanical tension and compression. A simple drip of glass caused sharp minds to puzzle and to take a closer look. 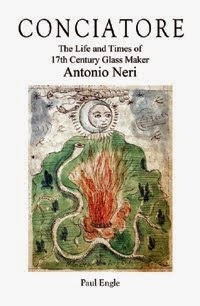 He discovers that heating the glass drop and then allowing it to cool slowly neutralizes the explosive effect. Finally, he puts it all together: rapid cooling of the surface causes the interior to be compressed like a spring. Snipping the tail, where the skin is thinnest releases all the pent-up energy at once and the piece explodes. Niccolò Angelo Tinassi, active 1654-1690. Henri-Louis Habert de Montmor (c. 1600–1679), founded the Montmor Academy, which met at his house in Paris from 1657 until its dissolution in 1664. This reference is not to Merrett’s 1662 translation of Neri (1612), but to the 1668 or 1669 edition by Frisius in Amsterdam which includes Merret’s annotations.